WILL THIS REALLY SAVE SOME GAS? You may have heard that it's best to fill your gas tank in the early morning while the fuel is cold. The theory goes that fluids are more dense at lower temperatures, so a gallon of cold gas actually has more gas molecules than a gallon of warmer gas. But the temperature of the gasoline as it comes out of the nozzle varies little during the course of the day, according to Consumer Reports. Maintaining your car is important, but a clean air filter isn't going to save you any gas. Modern engines have computer sensors that automatically adjust the fuel-air mixture as an increasingly clogged air filter chokes off the engine's air supply. With prices already around $4.00 a gallon, premium gasoline is a hard sell these days. But a lot of drivers think because their owners' manual recommends premium, they'll get better fuel economy with it. Really, they may be paying more money for nothing. Newer cars for which premium is "recommended" - but not "required" - won't suffer with regular fuel. Proper tire inflation is important for a number of reasons. Under-inflated tires are bad for handling and can even cause a crash. Improper tire inflation also causes tires to wear out faster and to heat up more, which could trigger a dangerous high-speed blow-out. According to on-the-road driving tests by both Consumer Reports and auto information site Edmunds.com, underinflated tires reduce fuel economy, so proper inflation is key. But you should never over-inflate your tires. They'll get you slightly better fuel economy because there will be less tread touching the road, reducing friction. But that means less grip for braking and turning. There's no question air-conditioning makes extra work for the engine, increasing fuel use. But car air conditioners are much more efficient today than they used to be. In around-town driving, using the A/C will drop fuel economy by about a mile a gallon. Meanwhile, driving at higher speeds with the windows down greatly increases aerodynamic drag. Before you buy a device that's supposed to make your car more fuel-efficient or pour in an allegedly gas-saving additive, ask yourself this: Don't you think oil and car companies aren't doing everything they can to beat their competitors? There are a number of these gas-saving devices that are generally useless. We play music to grill by, great music for parties, enjoy listening in the office or anywhere you can get an internet connection. We even have a request page that puts your request right into our music rotation. Desert Radio AZ "Your Community Internet Radio Station." 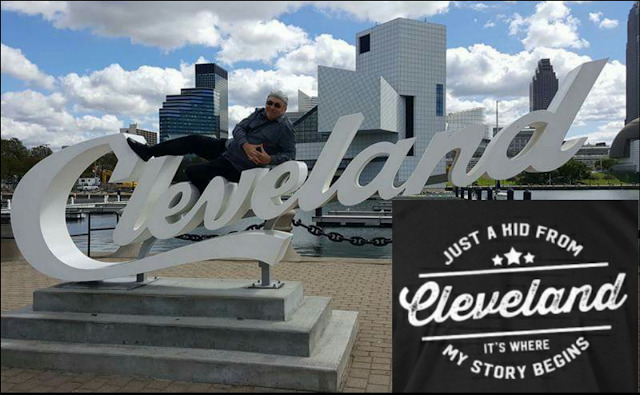 Timetraxx host Keith Anderson hails from the Rock and Roll capital of Cleveland, Ohio. That may explain his penchant for the popular music of the mid 20th century. His first childhood memories are of the tabletop radio in the kitchen. “I was born in 1955 so you might think it was Chuck Berry or Elvis that are my first impressions, but it was actually Lawrence Welk, who had a Number 1 Top 40 hit in 1960 with 'Calcutta',” Keith recalls. Throughout his school years, he would seldom be seen without a portable transistor radio, twirling the knob to hear all the powerhouse radio stations in area – WIXY, WJW, WHK, and WKYC and the radio disk jockeys who would inspire him to pursue a career in broadcasting. His ambition was realized when he enlisted in the Air Force in 1973. “I had no idea that the military had a broadcasting activity until I was stationed overseas,” he said. Need a Video or Audio Production? THE OTHER STUFF . . .